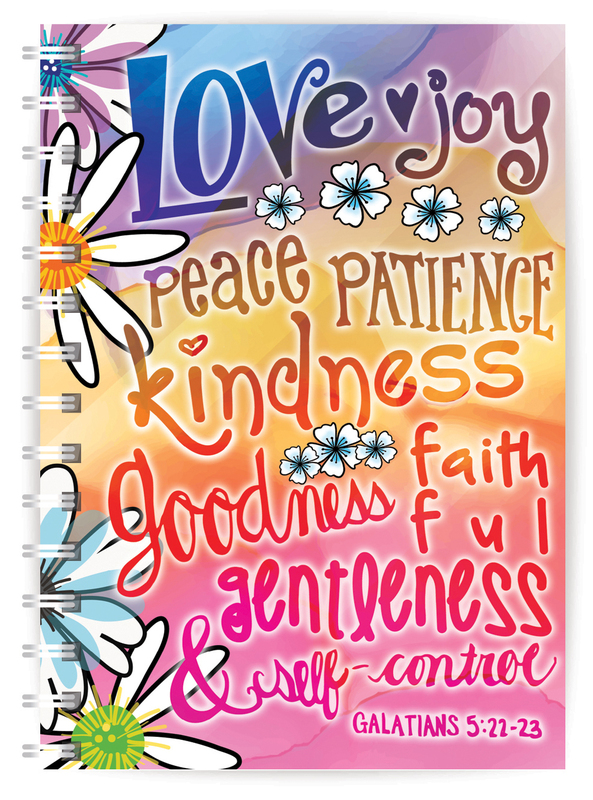 For planners, doodlers, notetakers and writers alike, this bright and colourful notebook lists the fruit of the Spirit in a groovy floral design. Want to be more organised in 2019? From shopping lists to Bible notes to creative thoughts and ideas, this bright notebook is the perfect accompaniment to the thoughtful Christian life. 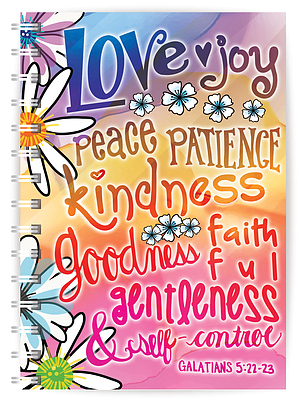 With a bold cover that lists the fruit of this spirit with colourful panache, this notebook is a daily reminder of what we should always work towards for a happy, healthy Christian life. The pages of this notebook are lined, with a verse at the bottom of each page. Whether you want to be more organised, start journaling, or just like a doodle now and then, this A5 notebook is for you. Fruit of the Spirit A5 Notebook was published by Just Cards in March 2018 and is our 359th best seller. The ISBN for Fruit of the Spirit A5 Notebook is 5060427974723. Be the first to review Fruit of the Spirit A5 Notebook! Got a question? No problem! Just click here to ask us about Fruit of the Spirit A5 Notebook.